BloodNearby- A platform where you can save someone’s life by donating the blood and in an emergency you can get blood easily as well. A Mobile App for donating Blood to nearby people. Here is the complete story of this social cause mobile app developed by three Software Engineers from UP, Vishwas Singh, Krishna Mohan Singh, and Vivek Pandey. They have mentioned, how they got the inspiration to develop this kind of mobile app in detail and of course all about of this amazing app Bloodnearby. Vivek Pandey, Vishwas Singh, and Krishna Mohan Singh. We got inspiration for this app from an incident. Once one of my friends needed blood in a different city where he had no friends and family. He shared the blood requirements on WhatsApp and other social media. We tried our best to arrange the blood by calling friends. We managed to save his life but thought that what will happen if there is no family and friends available. And we came up with BloodNearby. 1. Get or Donate blood anywhere. 2. In some diseases blood gets changed very frequently like every month, in that case, Blood Nearby will be very helpful to get the Blood Donors because friends & family will not be enough. 6. You can call the nearby donors directly. INTERNATIONAL: App works beyond the cities and even countries. Suppose you live in CITY1 (India) but you have gone CITY2 (US) for treatment and there is no friend/family, In that case, you can create blood request and the people of CITY2 (US) will be happy to donate blood. CREATE BLOOD REQUESTS: You can create blood requests whenever needed, people nearby you would be happy to help you or your dear ones. TRACK DONORS: You can track the donor’s live location. NEARBY DONORS: If you create a blood request, you can see the nearby donors and can call directly to request for Blood Donation. FEED RANGE: You can set the feed range to get the blood requests and notifications in the app. NOTIFICATIONS: You will get the notification on your phone whenever someone will need blood nearby. 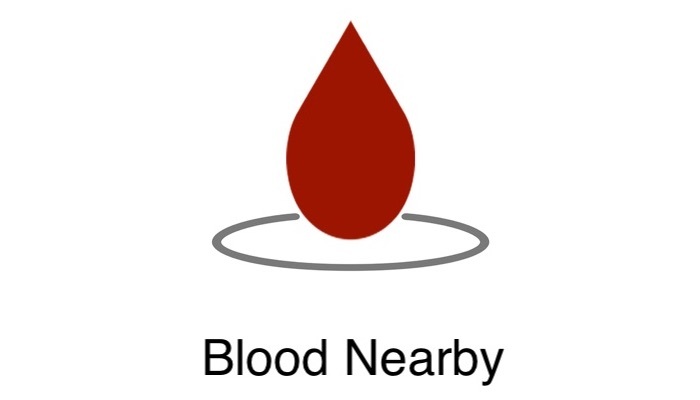 NEARBY BLOOD BANKS: You can find out the nearby blood banks with their ratings, open timings etc. You can search for blood banks in particular location as well. We are working with different NGOs who organizes blood donation camps time to time. You can check for the donation camps nearby and can go to donate blood there. This feature will be available very soon.